Oh well here I go again. Wrote a post but off it went into cyberspace. Lol!! Finally got a nice swell at about 4ft plus to try out my fin system on my 7ft Coreban Hyper. Those who know the Hyper. it has excessive rocker & is very slow to paddle & late drops are the only way to catch waves. I changed from a thruster to a quad with nubster hoping it will speed up the board a bit. But the exact opposite occurred. Why? I found out it was the fins cant or angle towards the nose plus area of fin surface pushing water when paddling & surfing in a straight line. Why board shapers make side bite fins pointing towards the nose on excessive rocker boards I am not sure. Yes I know those that work a board hard will eventually get ultimate speed I think? Anyway, I took all fins off & replaced the centre whistleing fin with an old 1980's centre box fin. I think similar to a 7 inch dolphin type that I took off an old surfboard. The result was better speed but less control making me spin out easily. Best way was to surf with slow carving manouvers. But I am a cruiser not a bruiser type of surfer. So maybe a bruiser could rip on this as a thruster or quad. My mate is more of a bruiser & loves this turn on a dime board. 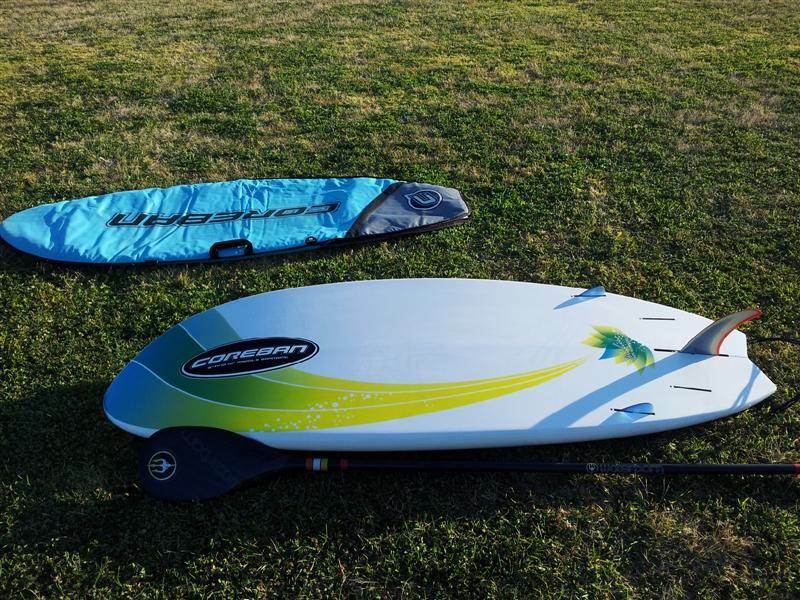 But compared to my 8ft 3" Sunova Soul it bogs down at the base of a wave & is hard to paddle to gain any speed. So I then got two nubster fins from Wet Fins & installed them as side bites. The result was better control & with the better original speed for my style of surfing. So now looking forward to mastering this board that will make me improve on working a board for better performance. In my opinion for a slow paddling board, take off all fins except the centre on a thruster & try smaller fins on a quad set up. 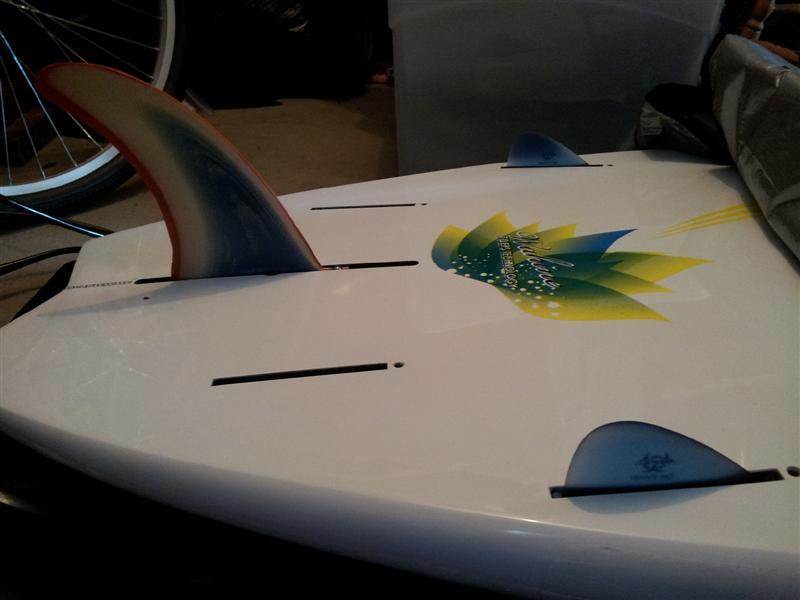 My next will be a twin fin with nubsters forward or rear on my Hyper. But at the moment happy with the speed & performance for this 7ft board that can take an excessive nose dive without digging in! Lol! Interesting sea juice ...I'm also mucking around with fins on the Hokua which has alot of rocker too ..
on at the time ...thats a nice board ...with rocker to burn ..looks like funtime.